“Farm Truck” license plates can now be purchased for vans and sport utility vehicles in addition to currently registered farm vehicles. Registered farm vehicles may travel upon the State’s public highways a distance of at least 50 miles. The number of hours that a registered farm vehicle may be operated on State roadways will increase to three hours before sunrise and three hours after sunset, provided that the vehicle is equipped with proper safety lighting. Registration will be required for vehicles with a 35 mph threshold speed capacity, increased from 20 mph. All self-propelled sprayers will be registered with the New Jersey Motor Vehicle Commission and issued “Farm Use” license plates. 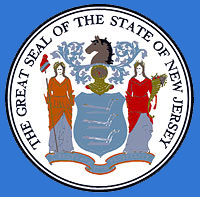 Self-propelled sprayers will be considered non-titled in the State of New Jersey and will be subject to the same document requirements as all other non-titled vehicles. Applicants for self-propelled sprayer registration will be required to present a notarized bill of sale containing the year, make, Vehicle Identification Number (VIN), seller’s and buyer’s name and address, date of sale and purchase price. In addition, a pencil tracing or a printed-out photograph of the VIN and proof of the seller’s ownership are required. Any motor vehicle, not for hire, used exclusively as a farm tractor, traction equipment, farm machinery, or farm implement and any farm tractor, traction equipment, farm machinery, or farm implement drawn by a motor vehicle is required to affix a slow moving vehicle emblem to the rear of the vehicle when operated on the roadways of the state. The emblem shall be triangular-shaped, red and fluorescent orange not less than 16 inches wide and 14 inches high and centrally affixed to the rear of the vehicle, two (2) to six (6) feet above the ground, measured from the lower edge of the emblem. The operator of a motor vehicle traveling in the same direction as and approaching a vehicle with a slow moving vehicle emblem is required, prior to overtaking the slow moving vehicle, to reduce the speed of the motor vehicle to that of the slow moving vehicle. This provision does not apply in areas where there are two or more lanes of traffic flowing in the same direction as the slow moving vehicle. **Violators are subject to a fine between $100 and $500, pursuant to N.J.S.A. 39:3-24.4.